The Inamax USB 3.0 wireless adapter is a small unit with a 5dBi antenna to get a good WiFi signal. 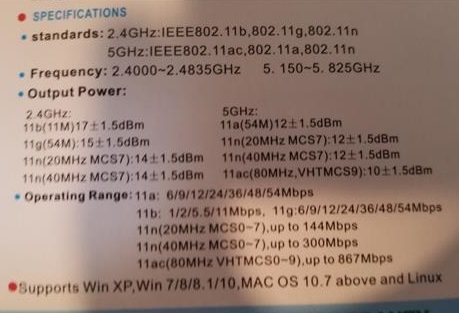 It also has the new 802.11AC WiFi protocols and is dual band, 2.4 GHz or 5 GHz. This makes it a good fit to add wireless to a desktop or upgrade a laptops WiFi. The 5dBi antenna also helps to get a better signal from a distance. 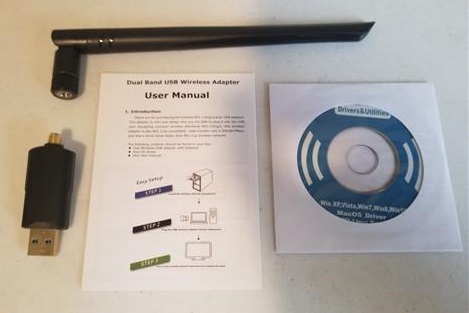 The package comes with the adapter, 5dBi antenna, user manual, and driver disk. To test it I plugged into a Windows 10 laptop which installed the Drivers automatically. The Drivers also come on a CD if needed. It is using the 8812BU wireless Chipset. All test were done at a distance of 10 feet to a router past a wall. Using SpeedTest.net it gave the WiFi speeds of 111Mbps Download, and 21Mbps Upload. Doing the same test on the 5GHz band it gave the results of 230Mbps Download, and 21Mbps Upload. This was some very good results and one of the fastest Downloads speeds for a WiFi dongle I have tested. 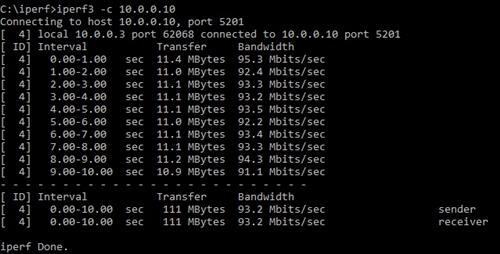 Iperf3 gave the 5GHz band the average speed of 93.2Mbits per a second. USB Wifi Adapter 1200Mbps, USB 3.0 Wireless Network Wifi Dongle with 5dBi Antenna for PC /Desktop/Laptop/Tablet,Dual Band 2.4G/5G 802.11 ac,Support Windows 10/8/8.1/7/Vista/XP/2000, Mac OS 10.4-10.13. 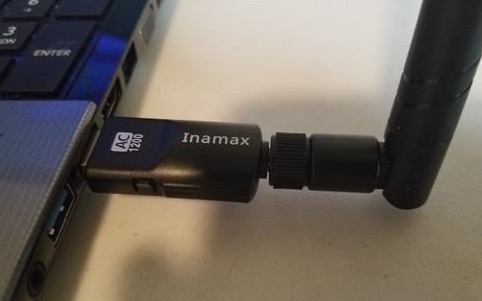 The Inamax wireless USB 3.0 Adapter is a good fast low-cost unit. It worked very well with Windows 10 along with some very good speed results. The 5dBi antenna will help with range and be able to get a better signal. I am still testing this adapter so far with good results and will update if anything changes. So I have a 2011 MacBook Pro that apparently had problems wit its logic board when it first came out. The computer has worked fine up until now because the WiFi has suddenly stopped working. I brought it to a Mac outlet and they said that the WiFi card on the logic board had finally broken. 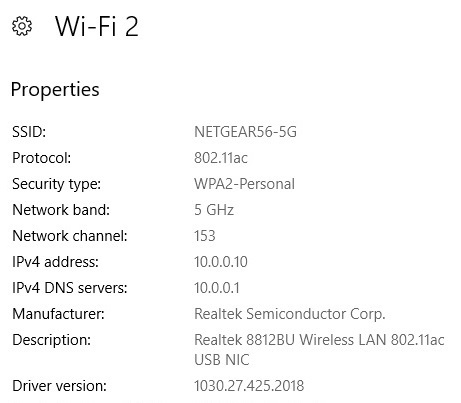 Now when click WiFi from my computer it simply says “No hardware installed” (being that it no longer works). 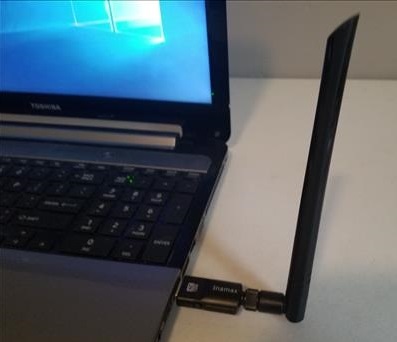 Would this USB WiFi adapter allow the WiFi on my computer to work once more? Or does it require that the WiFi hardware on my computer also work in order to work with this? My laptop doesn’t have a cd-rom so I looked for a download of the driver CD. I didn’t have any success. I inserted the dongle/usb and it looks like the inamax ac1200 installed itself and is operating. I need to know if installing the driver cd would do anything important?